Registered nursing careers are one of the best and most satisfying jobs in the healthcare industry. In most cases, registered nurses have more interaction with patients than the doctors. Throughout the next decade, nurses will be in high demand. Learn more about a career as a registered nurse. There are multiple RN training options. RN’s can choose between a nursing diploma, associate’s degree, or a bachelor’s of science in nursing. Of course, selecting the associate’s degree is the fastest route as it only takes 2-3 years and allows for entry-level nursing positions. A bachelor’s of science will take four years to complete and is quickly becoming the industry standard. Those with a BSN will find it easier to obtain a job. All nursing programs include the supervised clinicals. In both associate and bachelor nursing programs, the students will take courses such as anatomy, physiology, microbiology, and other nursing prerequisites, along with liberal arts classes. Those in the bachelor’s program will have more in-depth physical and social sciences coursework. They also are expected to enroll in communication, leadership, and critical thinking classes. Many RN’s who began with an associate’s degree proceed to finish off their bachelor’s degree through a special RN to BSN bridge program. All 50 states require registered nurses to be licensed. 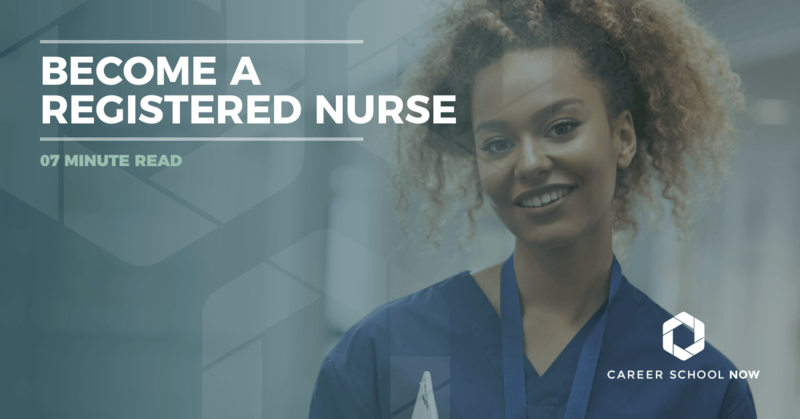 Once the student graduates from an accredited nursing program, they must then pass the National Council Licensure Exam for Registered Nurses (NCLEx-RN). From that point, they can choose to specialize in particular areas of nursing such as neonatal, pediatrics, and gerontology. Contact your state’s nursing board to find out more information since more precise requirements vary by state. The education that goes into getting a nursing degree is costly. Community colleges can cost between $2,000-$5,000 per year, and universities can go upwards past $20,000 annually. Financial aid can help lower the cost of tuition to make college more affordable. The great thing about scholarships and financial aid is that it’s stackable, meaning you can receive more than one financial aid award per year. Sometimes, students can get enough scholarship money that it covers the entire cost of school. There are many scholarships specific to nursing school that are available. Tylenol Future Care Scholars is open to anyone pursuing a degree in the medical field, including nursing. These non-renewable scholarships range from $500-$20,000 and go toward tuition, fees, books, and supplies of an accredited college or university. It is a one-time award. The Nadona Stephanie Carroll Scholarship is awarded to a nursing student enrolled in an accredited college who is going into geriatrics or long-term care. The U.S Army Undergraduate Healthcare Education pays money for books and tuition for active members going into healthcare fields such as nursing. The Doctor Lauranne Sams Scholarship is for black applicants enrolled in a 2-or 4-year accredited nursing program. The Bureau of Labor Statistics states that Registered Nurses median annual salary in 2015 was $67,490. The top 10% made an annual salary of $101,630 and the lower 10% brought in an annual pay of $46,360. Salary is usually factored by location as well as education and experience.